So perhaps you are currently involved in some sort of link building campaign to get your many sites to rank well on a multitude of search engines. Many of us know the tedious work that goes into it, and sometimes it may seem that it’s hard to tell progress being made, or observing the fruits of our labor. 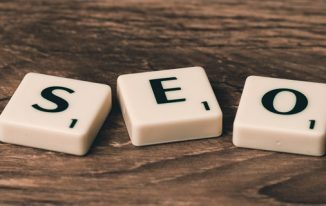 If you think that link building is something that has to be done solo with little or no assistance through specific programs, then you might want to take some time to learn a bit about SEO sites that are out there. I have worked extensively with a good number of different websites that handle the vast amount of data in respect to Google Analytics, and the statuses of my websites. This article is meant to give a brief profile of such websites so that you can get an idea of different places that can be of assistance. Majestic was probably the first program that I was introduced to when I started in SEO. It should be known that you have to pay for the service if you want more comprehensive information, but the free version isn’t all that bad. Majestic basically gives an overview of the presence of your sites on the internet. Such information would include the amount of backlinks to your site, as well as charts and graphs that show the distribution of citation and trust flow of those links. The good thing about Majestic is how visual all of the data is. This saves a lot of time and stress in trying to make future determinations. You can make comparisons of backlink trends among various websites in one graph, which serves as an excellent way to compare your sites with your competitors. With that in mind, Majestic is very transparent in allowing users to view and keep track of the links that their competitors are getting. It’s a great way to uncover any footprints that the competitors are leaving behind. In terms of the information and interface, Ahrefs is very similar to Majestic SEO, but there are somethings about it that I actually like more. Once again, you do have to register for a basic account which gives an ample amount of need information, and I would highly recommend just going ahead with the registration. You can get away with looking up any site you want without registering, but the results are extremely limited and would probably only be good for a superficial overview of your sites. Assuming that you go ahead with the registration, you will be granted fifteen requests per day, and each request will give off 500 results. 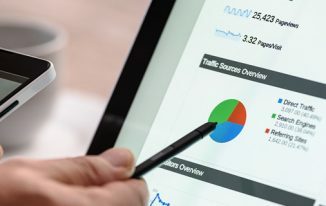 You will be able to look at charts that show dofollow, nofollow and sitewide distributions of individual sites, observe a bar graph that show what type of top level domains your sites site on, as well as observe trends of referring domains, backlinks, anchor terms, and more. I like Ahrefs more than Majestic since t’s a bit easier to make decision with the charts, and even though its more detailed, the formatting takes away some of the confusion. If you have been in SEO for a while, then chances are that you would be familiar with Raven Tools already. It is arguably the best source of SEO information out there. While Ahrefs and Majestic are a good tool for comparing your sites to competitors, Raven is more driven towards Google Analytics information that includes the amount of traffic that your site gets, plus what kind of keywords people are looking up that lead them to your site. Overall, this is why Raven is the best tool for deciding on target keywords. 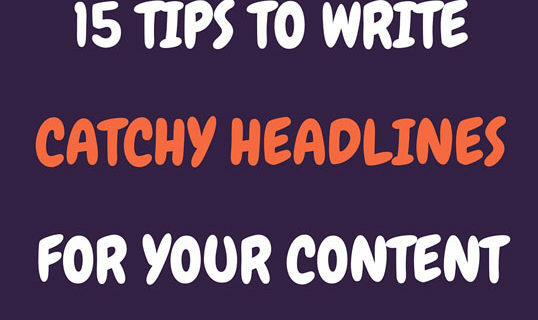 If you can see why people are going to your site, then you should be able to made decently educated decisions on where to go for anchor text building. You can view a Google Analytics Summary that gives a link graph of how many visitations your site gets per day, as well as data that reveals how long people spend at your site on average. These trends can be view at various time frames from daily to monthly. There a number of various tools that Raven offers, including some that may not be as applicable if you don’t utilize any PPC for your sites. You can view information that is pulled from Google AdWords as long as that is all set up. Raven can take a lot of time to get used to, since it is a lot of information to deal with. Luckily, Raven offers a live walk through every Thursday morning for those who wish to learn more about how to get around the site. I would suggest taking advantage of this walk through when the chance arises. There is a new post we have published that lists 14 tools that help you with your link building campaigns. You may have look on the post as well by clicking here. Author Bio: This article was written by Ezra Melino of Directv Pennsylvania. He is a marketer and content provider who is consistently discovering new trends in SEO. Leave your thoughts in the comments below. Very useful post, every blogger or SEO tries his best to get backlinks and to check his work Google Webmaster tools is useful but for better information about every part of Backlinks we have to use these sites. I have used only “Ahref.com” which is very useful and gives a detail info about backlinks, for non-registers it gives of only few backlinks and for free registers users it gives full info but we can only use it in limit. I have to check other sites that you have provided, Thakns for this post. I’d heard of Majestic SEO when I entered the online marketing world, and I must say the free version did appeal to my senses then. The design was easy on the eye, but a colleague suggested me to go for Raven tools. I tried it out and instantly latched on to it. I carried my own research out from then on, did like a couple of sites, but found nothing better than Raven. Each of them serve their own purposes, and they do they all very well. Majestic SEO’s design can be a little bit of an intimidation to look at, but I agree with Jack where Raven was the big quick go-to. Kulwinder, Ahref is certainly a great way to do basic backlink checking, and I would suggest to keep up with using it. As stated in the article, Raven can be a little bit intimidating at first, but you’ll get the hang of it quickly. It’s more than important to explore other tools than the well known ones in the trade. The prime reason being that there are millions of professionals out there vying for the top spot. If we ever come across a tool better than the popular ones, it may aid us gaining an edge over our competitors. I use Raven, but I’m constantly on the lookout for other websites. I’ll check out the other two you’ve listed. Thanks for the share. They are all worth checking out for various reasons, and I do agree that people shouldn’t be afraid to look up other tools as well. Thanks for the response, David! 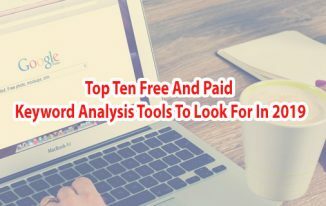 Very good list of SEO tools here. I’m glad I stumbled upon this page because I’m always looking for way to get better backlinks and track them. I haven’t found a really good tool to do that as of yet and I’m hoping that one of these tools will be able to do the job. I’ve briefly look at the sites you’ve listed here, but will take a closer look at the tools when I have a little more time. Thanks for sharing these tools. These are some necessary link management tools which should be used by every webmaster. I personally use Majestic SEO, it’s the best. I strictly used Majestic SEO for a long time, but then I started learning more about Raven, and things took off from there. I mainly use Majestic to keep track of competitors links now. I have never heard about it. I have used Google tools.After reading your post this tool also seems to be very interesting and useful. I think I should give it a try. Try all three and see how each one delivers benefits for your sites. Thanks! Such tools aid us highly in analyzing our website performance, which in turn helps us in getting the most out of our website. Working on the favored keywords and forgetting about the keywords generating awfully low traffic for instance. I prefer using Raven tools, but I’m open to the various others in the trade as well. Thanks for sharing, Ezra. Thanks for your thoughts! Raven is certainly the way to go, but everyone has different goals to achieve. 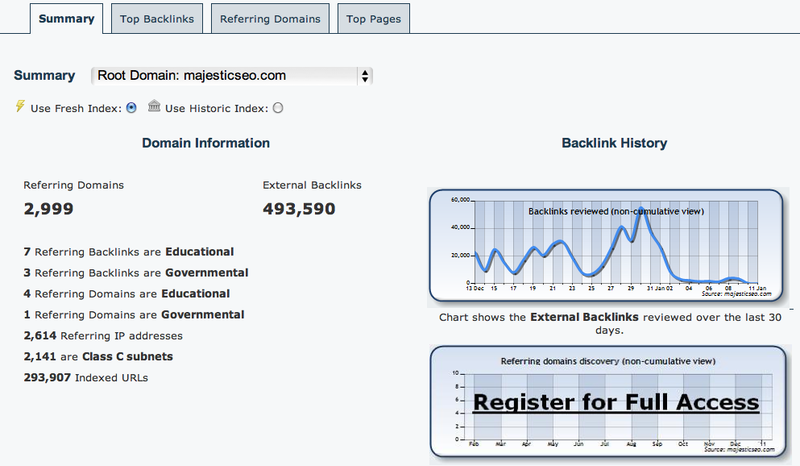 I use Majestic SEO, because I think this is the most accurate sites to count backlink to my blog or competitor blog. I never heard Ahrefs.com and Raven before, thanks to your helpful share so I will soon try it and compare with the Majestic SEO. And for tools, I also use SEO spyglass. 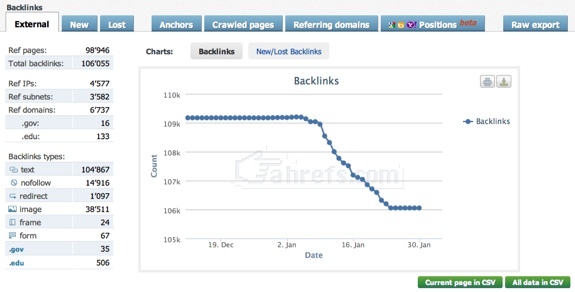 This tool is also very powerful and accurate to check your competitor backlink. I recommend this powerful tools to assist your link building campaign. Spyglass is actually real great tool. I’m glad you brought that up. Thanks Hendry! Great information, I had not heard of any of these services and immediately checked out Ahrefs.com, very reassuring, it tells me I’m actually getting backlinks when I thought I was not getting any. It hasn’t really had any effect on my traffic but I’m hoping it will at some point. You have shared an unique information on the Link building campaigns. You have share some necessary link management tools which should be used by every webmaster. I personally use Majestic SEO, it’s the best. Glad you enjoyed the info. Thanks! It’s worth it for specific purposes. Thanks! Ahrefs response looks pretty good and data would be surely useful. interesting info and thanks for the update.! Glad you enjoyed and got something out of the article. Thanks! thanks alot for sharing this wonderful info. i generally use Majestic SEO and Aherf. But to get more help I check alexa ranking and sometime iseo tools. but i think google analytics is way more helpful..
Im using Raven’s 30 day trial, it’s a great tools to check for backlinks. Excellent post and wonderful information about tools. i am using seomoz tool it’s best.